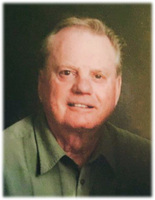 Provide comfort for the family of Adolph Kurtz with a meaningful gesture of sympathy. Adolph Kurtz passed away suddenly at the age of 79 years at the Wascana Rehabilitation Centre on Monday, April 8, 2019. Adolph was born in Melville, Saskatchewan, on November 19, 1939. He grew up in Melville with his 11 siblings. In his youth, he worked on many farms as a helper and on the railroad, helping the cook and fixing rails. Adolph eventually left school to find much success as a painter. Initially he worked in Regina; he returned to Melville, where he started his own business with Morley Pankoski. In time, Adolph opened his own store, Kurtz Decorating, which he ran with great pride and success until 1995 when he was forced to retire due to health issues. Adolph met the love of his life, Louise, when he was 21. They wed on September 5, 1962, and welcomed three daughters, Kim, Lorie and Lynn. Adolph and the family enjoyed spending time at Crooked Lake, so much so that Adolph built his forever-home there. He welcomed anyone into his home with a smile and great conversation. He had a large circle of friends who brought much laughter and joy to his life. Adolph’s greatest pleasure and pride was his family. As the family grew, he formed a special bond with every grandchild, great-grandchild and even the fur babies. He enjoyed being outside and active, whether it was a ball game or a round of golf. Adolph really was a jack-of-all-trades, making sure every job he took on was done “the right way” (also known as his way). Adolph was a selfless man, always willing to lend a helping hand. These wonderful qualities will forever be carried on by all who knew and loved him. In the later years, Adolph’s health diminished. The family would like to thank everyone who cared for him and took the time to visit. The family is grateful for the kind words and thoughts expressed through his illness and at this time. Adolph is survived by his wife, Louise; children Kimberley (Raymie), Lorie (Rodney) and Lynn (Michael); grandchildren and great-grandchildren; siblings, Herbie (Grace), Art (Chris), Harry (Maureen), Cliff (Lynn) and Shirley; and all of his nieces and nephews. Adolph is preceded in death by his mother, Daisy; father, Adolf; sisters Marg, Ruby, Noreen and Pearl; brother Henry and honorary brother, Dr. Basnyat; and his in-laws, Jeannette, Ed, Herb, Eugene and Lorne. The family asks that those wishing to make donations do so to Good Shepherd Lutheran Church or Melville’s new swimming pool. We encourage you to share your most beloved memories of Adolph here, so that the family and other loved ones can always see it. You can upload cherished photographs, or share your favorite stories, and can even comment on those shared by others.